NEW YORK (Legal Newsline) - The New York Supreme Court's Appellate Division has ruled in favor of two plaintiffs in a consolidated asbestos case, affirming a $12 million jury verdict. 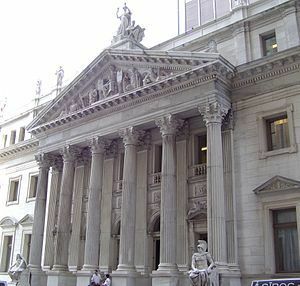 Justice Angela Mazzarelli delivered the July 3 opinion, concluding that the trial court's allocated liability was proper. Justices David Friedman and Leland DeGrasse dissented in part, arguing that the court erred when in held Crane Co. 99 percent liable in one of the asbestos cases after refusing to allow a key witness's testimony. Friedman provided the dissenting opinion. Plaintiff Ruby Konstantin appeared on behalf of decedent Dave John Konstantin and plaintiff Doris Kay Dummitt appeared on behalf of decedent Ronald Dummitt. Konstantin worked as a carpenter at two Manhattan construction sites from 1973 to 1977 where defendant Tishman Liquidating Corporation (TLC) was the general contractor. He worked in close proximity to drywall contractors who would sand asbestos-containing joint compound, creating breathable dust. The pre-mixed joint compound was manufactured by Georgia Pacific, Kaiser Gypsum and U.S. Gypsum. TLC was responsible for supervising and controlling the work. Evidence showed that TLC was aware of asbestos risks as early as 1969. The plaintiffs, however, claimed the defendant failed to take any steps to protect the workers from asbestos hazards. The decedent also worked at a gas station from the late 1960s to the early 1970s, where he performed hundreds of brake jobs, sanding down brake pads manufactured by the Bendix Corporation. However, Bendix was not included on the jury's verdict sheet. Konstantin was later diagnosed with mesothelioma in January 2010 and died from his injuries on June 6, 2012. He and his wife alleged TLC was liable for negligently supervising and controlling the drywall work, and was directly liable in common-law negligence for its employees' power-sweeping work, which created additional asbestos exposure. As for Dummitt, he served in the U.S. Navy from 1960 to 1977 on seven Navy vessels as a boiler technician. As part of his duties, he worked with asbestos-containing gaskets and packing material associated with the roughly 600 valves in the boiler rooms aboard the ships. A majority of the valves were manufactured by Crane Co. Those valves contained asbestos packing and gaskets. Dummitt testified that he was exposed to asbestos when maintaining the valves. He explained that he would scrape off old gaskets with a wire-brush and would blast old packing with compressed air, which created asbestos dust. "Indeed, Dummitt stated that it was almost impossible not to be exposed to asbestos dust when removing the pads," Mazzarelli wrote. However, Dummitt conceded that he was never exposed to asbestos products that were either supplied or sold by Crane, as the asbestos-containing component parts were manufactured by third party companies. He was diagnosed with mesothelioma in April 2010. Dummitt and his wife alleged Crane acted negligently by failing to warn the decedent of asbestos hazards associated with the asbestos-containing component parts used in its valves. The two lawsuits were consolidated with a cluster of 10 cases, three lung cancer claims and seven mesothelioma claims, for trial in the Supreme Court for New York County. Prior to trial, five of the mesothelioma cases settled, leaving only Konstantin and Dummitt. After a six-week trial, TLC was found 76 percent liable for Konstantin's injuries, and each of the three joint compound manufacturers were found eight percent liable. The jury awarded Konstantin damages of $19 million for pain and suffering, and more than $500,000 for lost earnings. Crane was found 99 percent liable for Dummitt's injuries, while defendant Elliott was held one percent liable for its negligence in failing to warn the decedent about asbestos dangers. The jury awarded Dummitt a total of $32 million, including $16 million for pain and suffering. The jury concluded that both TLC and Crane were reckless. Both defendants moved to set aside the verdicts. TLC argued that the trials should not have been consolidated, that the jury's allocation of liability was improper, that the evidence failed to support that the defendant was reckless and that damage awards were unreasonable compensation. The court granted TLC's request to set aside the damages verdict and ordered a new trial on the issue of damages unless Konstantin agreed to reduce the awards to $8 million for pain and suffering. Konstantin accepted in November 2012. Crane argued that it should not be held liable for placement of products it did not manufacture into the stream of commerce. It added that because the asbestos-containing components were manufactured by third party companies, it could not be held liable for failure to warn of asbestos dangers. It also asserted that the allocation of fault was improper. The court granted Crane's request to reduce damages to $8 million for pain and suffering, which was officially entered for Dummitt in October 2012. "In doing so, the court rejected Crane's theory that it could not be liable because it did not place the asbestos-containing components into the stream of commerce," Mazzarelli wrote. "The court found that Crane was liable because it knew or should have known that the components, which were meant to be used in conjunction with its product, contained asbestos and were therefore likely hazardous." A judgment of $4.4 million was ultimately entered in favor of Dummitt after accounting for setoffs to which Crane was entitled. On appeal, TLC argued that the two actions should not have been consolidated in the first place because they involve different factual and legal issues. It explains that the differences between the two work environments are too "vast." The court disagreed. It recognized that a ship's boiler room is a different environment than a construction site, but stated that the asbestos exposure in both situations was similar. Both decedents were in the immediate presence of breathable asbestos dust released into the air while they were performing their duties. Crane disagreed with the consolidation order in the trial court but did not raise the issue on appeal. TLC argued the two cases involved different legal theories with Dummitt alleging a liability/failure to warn claim and Konstantin alleging negligence and violation of Labor Law claim. "TLC contends that trying these two cases together required the jury to grapple with different elements of liability and to sort through voluminous evidence, must of which was relevant only to one case or the other," Mazzarelli stated. The court held that while Konstantin was required to establish TLC's control of the worksite and Dummitt was required to demonstrate that Crane breached a duty to warn, "both theories ultimately required a showing that defendants failed to act reasonably in permitting the men to become exposed to asbestos." Friedman and DeGrasse argued that the court should not have addressed the consolidation appeal in the first place, holding that TLC failed to provide the court with any of the papers upon which the consolidation order was made. "In fact, the record before us on the consolidation order is not merely 'incomplete;' there is no record before us at all upon which to conduct a review of that order," Friedman wrote. They argued that the majority failed to cite any authority "permitting consideration of an appeal in the absence of any part of the record upon which the appealed order was made." The two argued that the court should have addressed the defendants' remaining issues without deciding the challenge to the consolidation order. "I do not understand why the majority insists on addressing the consolidation issue on the merits, in the absence of any record, when we are all agreed that the Konstantin judgment should be affirmed," he added. Turning to the challenges to the verdicts, Mazzarelli noted that TLC argued that the jury's allocated liability was improper because there was no evidence showing it manufactured, bought, sold, distributed or used the joint compounds Konstantin was exposed to. However, the court held that the verdict accurately apportioned liability because TLC failed to provide evidence demonstrating responsibility for the manufacturers, while Konstantin provided sufficient evidence revealing direct liability against TLC for violating its duty to supervise and control the asbestos work. Because the decedent did not work directly with the product, he would not have seen any warning signs, "putting TLC in the best and only position to protect him," Mazzarelli wrote. On the other hand, Crane also argued that the jury's allocated liability was improper, claiming there was no evidence showing Crane manufactured or supplied the numerous asbestos-containing materials Dummitt was exposed to during his service in the Navy. The court held that exposure to Crane's valves was the primary source of Dummitt's asbestos exposure due to its efforts to market asbestos as the preferred insulation of choice for its valves. Still, Crane alleged it had no legal duty regarding asbestos-containing component parts manufactured and sold by third-party companies. The court disagreed, reiterating that Crane helped write the Naval Machinery manual and provided detailed drawings specifying which components should be used with each valve, thus influencing the Navy's decision to use asbestos. "To the contrary," Mazzarelli wrote, "the evidence demonstrates that Crane influenced the Navy's choice of valve components following the initial shipment, and played a leading role in creating the culture and regulations that encouraged and eventually mandated the use of asbestos for insulation." Furthermore, the court affirmed the trial court's refusal to permit testimony from Admiral David Sargent regarding the Navy's specifications on asbestos warnings. The court said it is unconvinced that his testimony would have made a difference. Friedman and DeGrasse disagreed, asserting that the trial court erred when it excluded evidence offered by the defendant regarding causation. "Even if one joins the majority in its dubious assumption that the Navy was in the dark about the dangers of asbestos during the relevant period, what the majority overlooks is that Admiral Sargent would have testified, based on his long experience in naval procurement practice, that, even if Crane had sought to provide such warnings, the Navy would have disallowed them," Friedman wrote. Additionally, they claimed the trial court erred when it instructed the jury that Crane's duty to warn extended to asbestos dangers from using its product even though it may not have manufactured or sold the component parts. Because the defendant provided evidence that the Navy, not Crane, dictated that asbestos-containing component parts were to be used with the valves, Crane should not be held liable, they said. Crane also alleged a new trial is necessary because the word "foreseeability" in the jury's verdict sheet was prejudicial. The court disagreed. Because Crane demonstrated interest in the use of asbestos components with its valves, "the charge as given had no potential to communicate the wrong standard to the jury." Furthermore, the court concluded that Crane provided no evidence showing it attempted to warn the Navy that its products contained asbestos exposure risks. Friedman and DeGrasse disagreed, explaining that the issue is contrary to this court's precedent in failure-to-warn cases, holding that the plaintiff has the burden of proving "'that the user of a product would have read and headed a warning had one been given.'" The majority attempted to "cure" this error by arguing that the presumption could be rebutted, but the dissenting justices remained unconvinced. "Whether rebuttable or not, the presumption charge had the effect of shifting the burden of proof on the causation issue and was contrary to precedent of this court by which the trial court was bound," Friedman wrote. They added that by precluding Sargent, the trial court compounded this error. "I do not take issue with the majority's statement that the Dummitt plaintiff presented evidence that he would have received any warning and clearly testified that he would have headed those warnings and taken steps to protect himself," Friedman stated. "Still, Crane was entitled to present its own proof rebutting this evidence." Friedman and DeGrasse suggested ordering a new trial on the issues of whether Crane's failure to provide warnings on the dangers of asbestos-containing component parts was a proximate cause of the decedent's injury.